Our medium bag is designed to fit a total of 8 garments. You can hang your Rac N Roll Garment Bags directly inside the bag using our signature hanger loops. Our large bag is designed to fit a total of 15 garments. 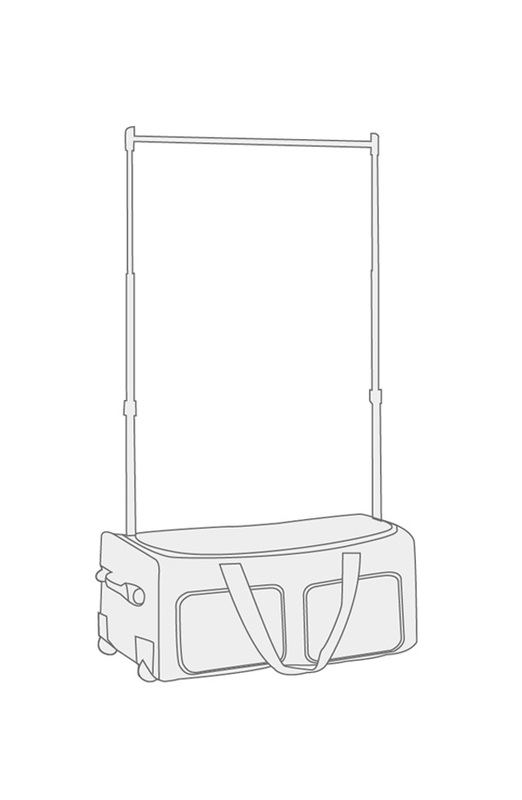 You can hang your Rac N Roll Garment Bags directly inside the bag using our signature hanger loops. The newest design collection from the originator of all rolling bag closets! Adding a pop of colour to everyone's favourite bag! Brand new interior liner, zippers, and straps to match the exterior colour of the bag. The original Rac N Roll Dance Bag is a large duffel bag that includes exterior pockets, interior pockets, a collapsible hanging rod, rolling wheels and a handle. 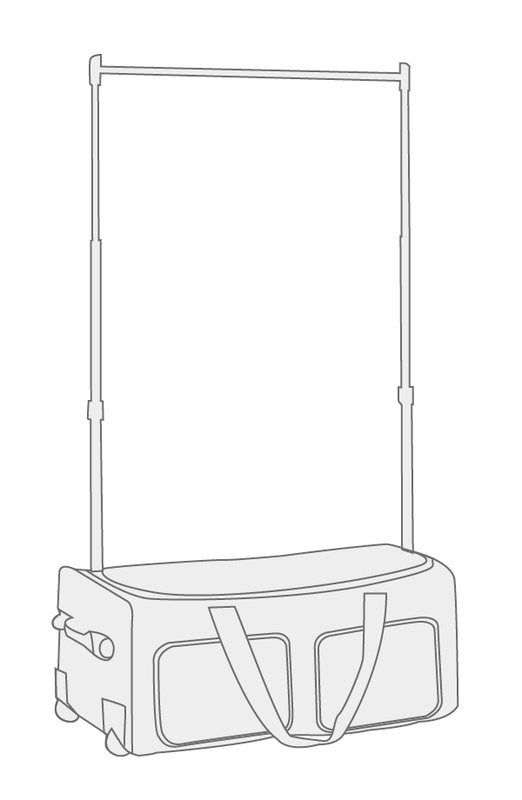 On the inside of the duffel, you will find “D” shaped metal rings. These rings are great for keeping costume hangers in place during travel. There are also two collapsible arms that hold up the rod for hanging the costumes. These slide into square openings at each end of the bag. Simply make sure that each arm slides all of the way into the square opening, or you will end up with a lopsided hanging rod. 31" x 17" x 14"
My daughter LOVES this bag. Very happy with it so far. Copyright © Rac N Roll. All Rights Reserved.